Project or Operations? What is it? I have done a video presentation on the topic "Projects vs Operations | PMP Exam Perspective". This is my first serious attempt to use YouTube for my presentations/ blog. Please watch the YouTube video embedded below in this article. Please leave your valuable comments/ feedback/ suggestions on the video. If you have any particular topic that you want me to cover in the next video, your suggestions are most welcome. If you liked this video, please give a thumbs-up and also don't forget to subscribe to the YouTube Channel. 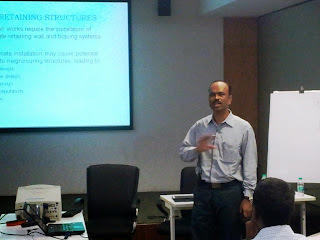 I was recently invited to deliver a guest lecture at Larson & Toubro (L&T), Chennai. 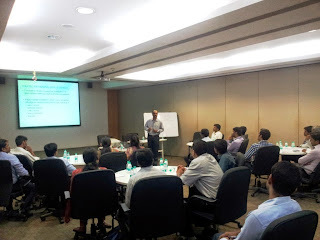 I had to deliver a lecture as part of the training programme conducted for the staff of L&T Heavy Infra Civil in 01-M1A cadre (those who are mostly in supervisory and group leader levels). 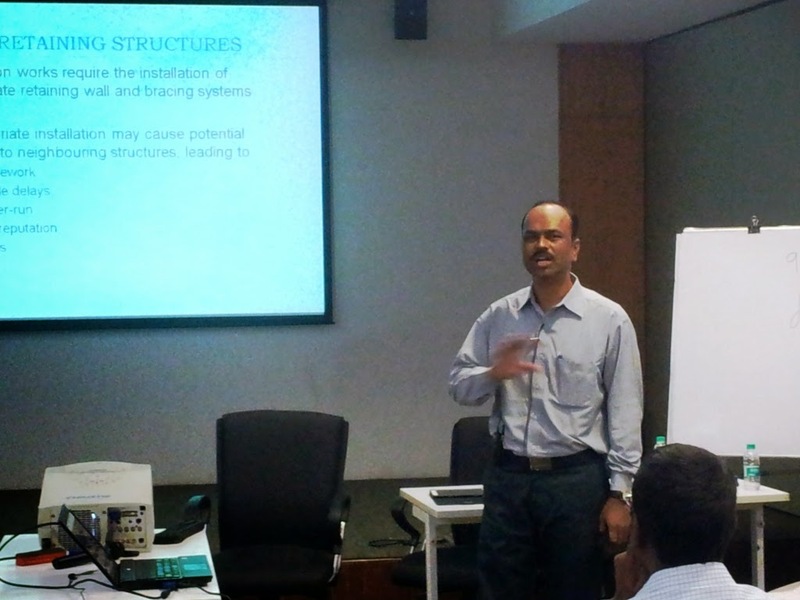 The training programme on "Diaphragm walls" was planned to be conducted for two days at L&T Construction Headquarters, Chennai on 20th & 21st June 2014. The main aim of the programme was to share the knowledge on the construction of diaphragm walls, by inviting internal and external subject matter experts from the industries. I delivered the lecture on the topic "Diaphragm wall construction - Site planning & control". I shared my experience from projects done in Singapore and India; I also highlighted the gaps and suggested areas of improvement for the staff. You have been able to expose the participants to various issues related to the site planning and control. I am sure all the participants could feel the vast experience and knowledge with which you could speak and this must benefit them in their careers. I once again thank you for disseminating your knowledge and experience to the young and promising engineers of this great institution called L&T. I look forward to more opportunities where you can share your experience with the deep foundations engineering community in India. I thank L&T for inviting me to share my knowledge and experience with the upcoming Engineers.